NH State Parks recently shot a mountain bike promotional video at Ahern State Park. Luckily we had just leaf blown all of the trails and the video looks great! We got a nice thank you in a tweet from NHStateParks for all of our maintenance work over the years. Word on the street is the leaf blowing is holding up and the trails are still clear. Get out and ride while you still can! 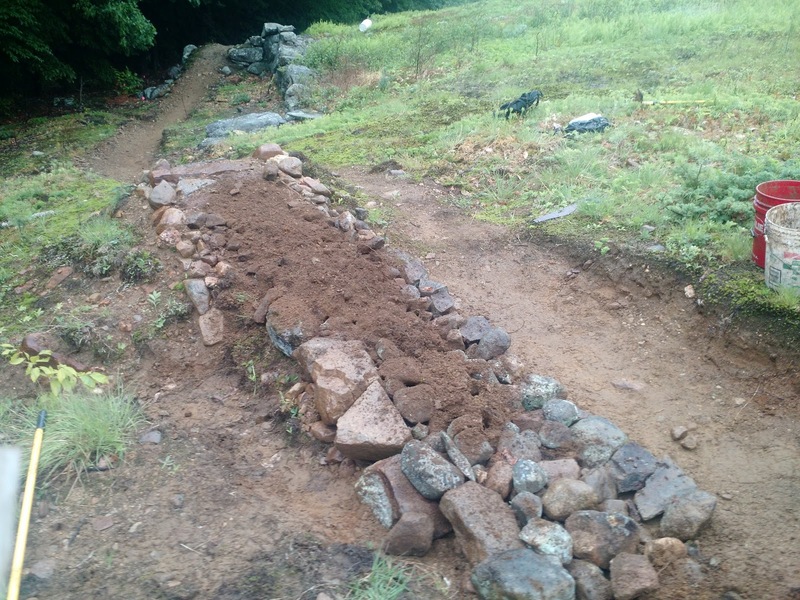 Be on the lookout for a bit of rerouting and additional trail work at Ahern next year as well. Always room to improve! This Sunday Dec 13th we will be getting together for a low-key ride at Franklin Falls at 2:30pm followed by a meeting afterwards probably starting around 4pm or so at a local restaurant to-be-determined. Standard year-end recap and planning for 2016 to be discussed. We'll be re-decking one bridge and building another. Both work sites are somewhat remote from the trailhead so bringing a bike to ride in would probably be a good idea. We are set for tools so just bring some water and work gloves etc. Maps for Page Hill and Ramblin Vewe have been updated on the Trail Maps page. There is a new trail at Page Hill called 'Connector' that connects Hydra back up to Hard Hat at about the mid point to allow for slightly easier lapping of Shock Therapy. 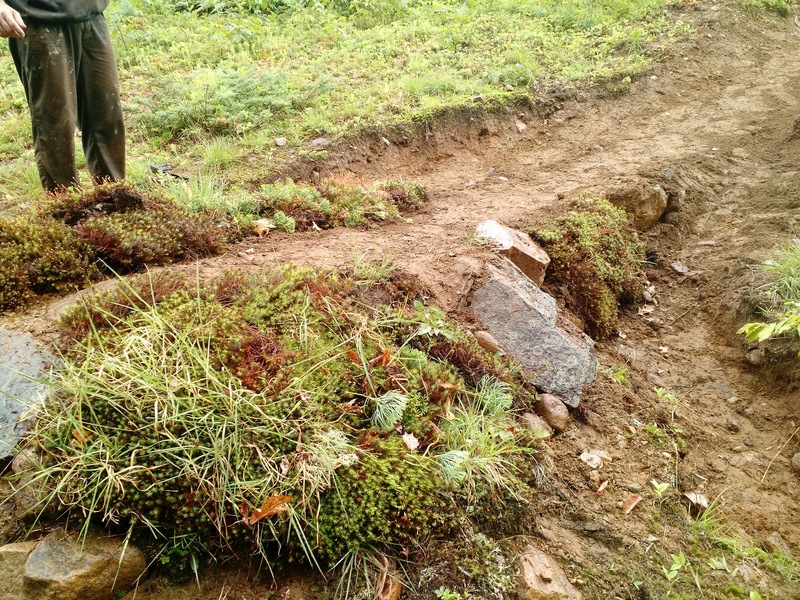 The trail gnomes have been VERY busy at Ramblin Vewe and there is a slew of new trails ready to be ridden in. Most of them are on the south side of the property and they offer all kinds of new loop options. Get out there and check them out! Despite the rather moist weather today, we managed to assemble a small group out on Shock Therapy at Page Hill to correct a bad line and fix a wet area that was causing some difficulties for a number of riders. 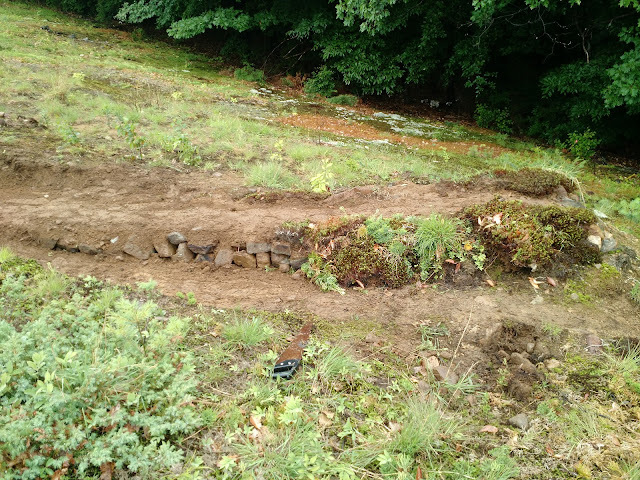 Given the amount of rain that had fallen, it was a little hard to tell if we fixed the wet area, but we didn't make it worse and once things dry out a bit, we think it will be riding much better. The bad line we worked on was a jump known as "Hankenstein". There have been several reports of riders getting hurt on the jump and we determined that the ramp of the jump was too steep and there was too much of a depression on the approach. This was causing riders to go nose heavy as they hit the end of the jump resulting in some out of control landings. We are planning a little impromptu trail work day this Sunday 6/28. 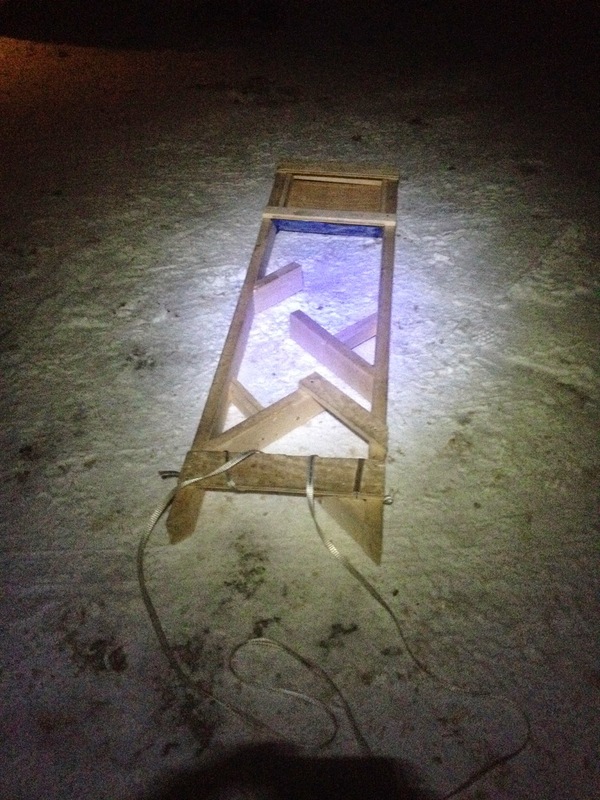 We'll be meeting out on Shock Therapy right where it enters the woods at 9AM. We will be doing some refinement work. Bring your bike, We need test pilots! Working until about 1pm. 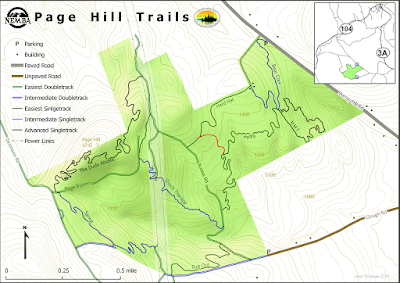 We will be having a trail day at Page this coming Sunday the 7th. Registration will be from 8:30 - 9am at the lot on Murray Hill Rd. The first priority would be to install the new connector trail from the middle of Hydra up the the end of Hard Hat (shown in red below). 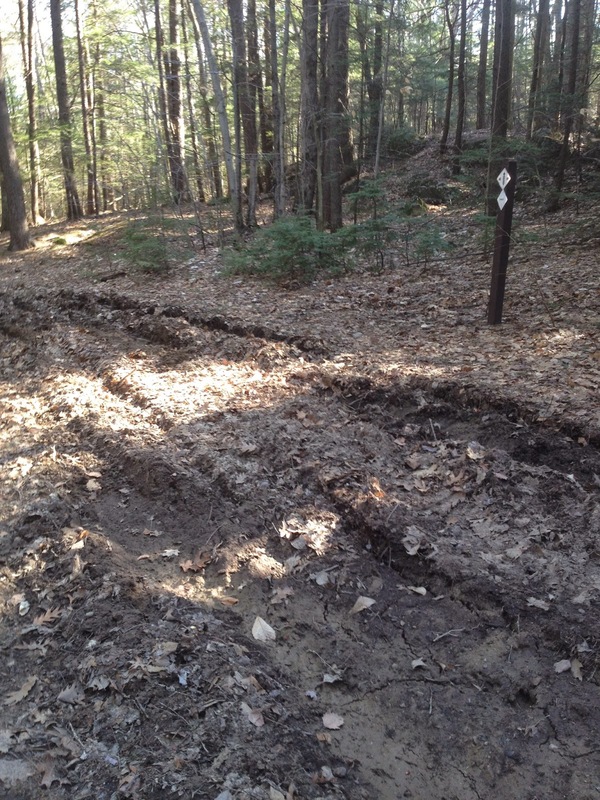 This trail will be an easy build: all rake-n-ride and pretty short. It will also help create some nice loop options. 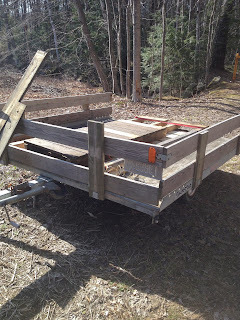 The second priority (if we get to it) would be to do some maintenance to Shock therapy: remove loose rocks from tread in the power lines section, harden the wet spot just after you enter the woods. Third priority would be to improve some of the jumps on Shock therapy to make the take-offs less abrupt. Hope to see you there! 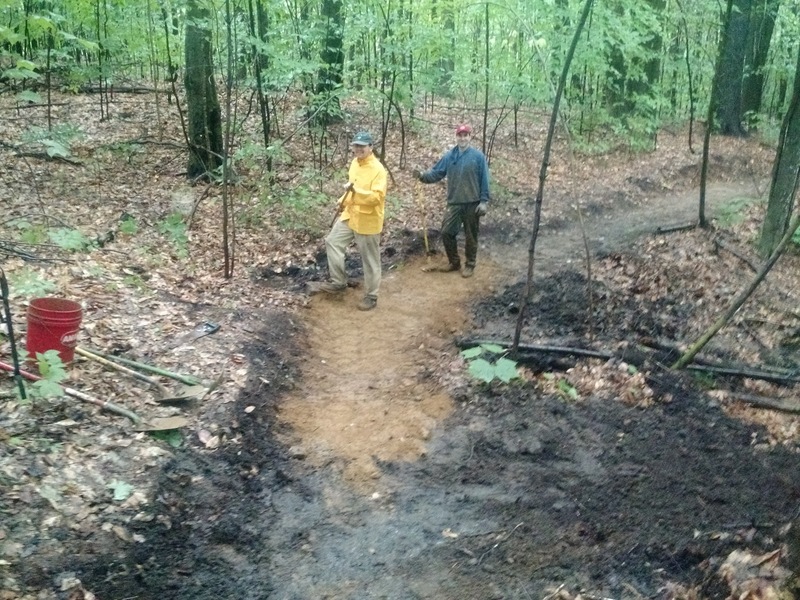 A small, but experienced trail crew consisting of Scott Pelletier, Jesse McGowan, Chris Schroeder, Nick Holmes, and Mike Geldermann worked on improvements to the Rusty Bucket trail extension. A bridge was installed over a small gulley and the tight corner downhill from the gulley was re-sculpted and bermed for better flow. 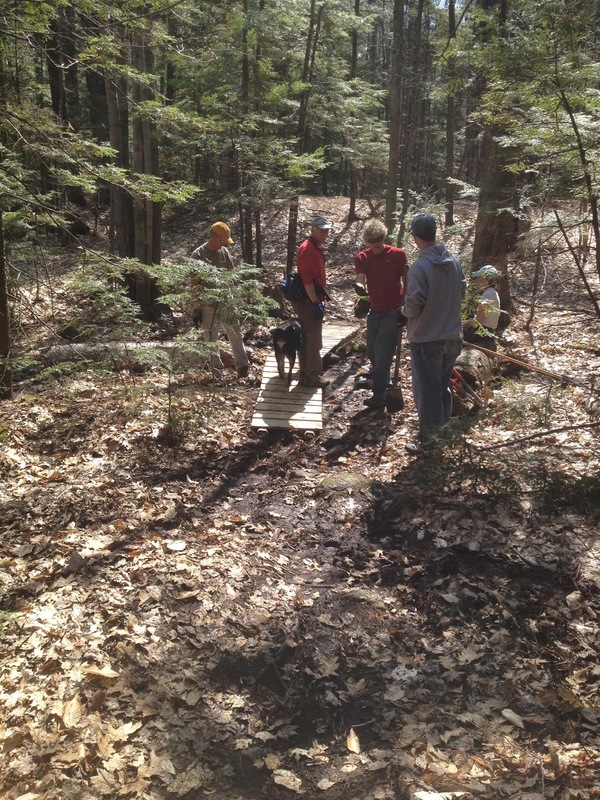 Luckily our trail adopters and other volunteers had been out in force in previous days doing spring clean-up. 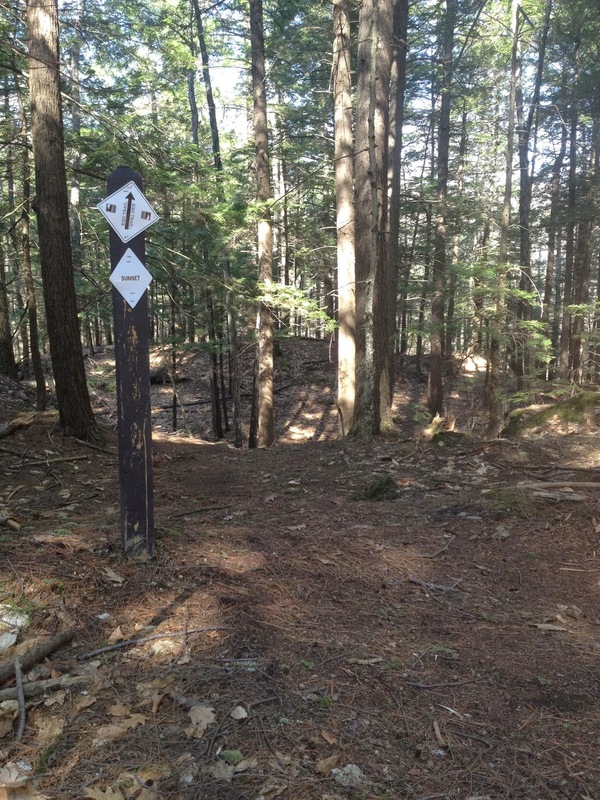 The Franklin Falls trail system is in good shape. Slightly smaller group this week, but excellent riding nonetheless! Ahern is riding excellent right now. Freshly maintained, 99% bone dry and still very little bug activity. Always nice to get the warm up / cool down heading along the lake riding too and from the shop. Looks likely that Matt will be leading a ride down at Bear Brook next week. Keep your eyes peeled on the email list. Get out and ride! After a down year last year the CNH Thurs Social Rides are back and looking like they will be better than ever. We had a great group last night with about 10 riders in attendance. Franklin Falls is in great shape right now. 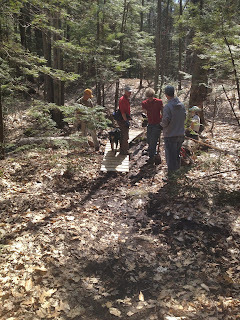 Some of our trail adopters have been hard at work and many trails are in the best shape I've seen them in a long time. FFD was a popular place last night. There were several other small groups besides ours rolling around as well. It's always nice to see things you've helped build get utilized by so many different people. Next week we are planning on riding Ahern. It's fresh off a trail day and ready to ride. We'll be rolling from Chainline Cycles in Laconia. Come and hang out! Ahern is prime for riding! 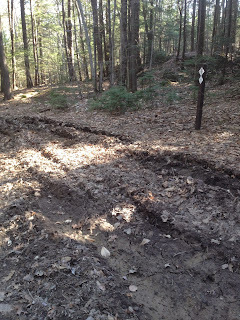 Well to be fair there are still a few tender spots that need to be respected but to the best of my knowledge all trails were raked and leaf blown and are predominantly bone dry. 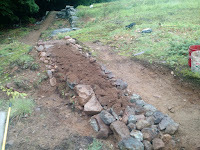 We also started a bridge and rock armoring project on Psycho. We ran out of time but it is about 2/3 done. We are working on spanning one of the perpetually wet spots. We didn't quite have enough bridge to make it. Grant will be bringing another section back to finish it off. 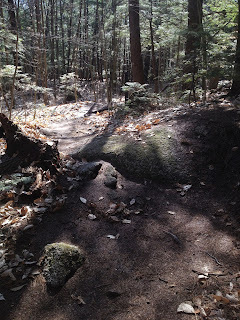 We also supplemented with some rock armoring but that area of the woods was low on 'ammo' so we ran out of time looking for good rocks to use. All in all it was a productive day. Should be a great year of riding at Ahern. Next trail day will be at Franklin Falls on the 17th. Hopefully see you there! 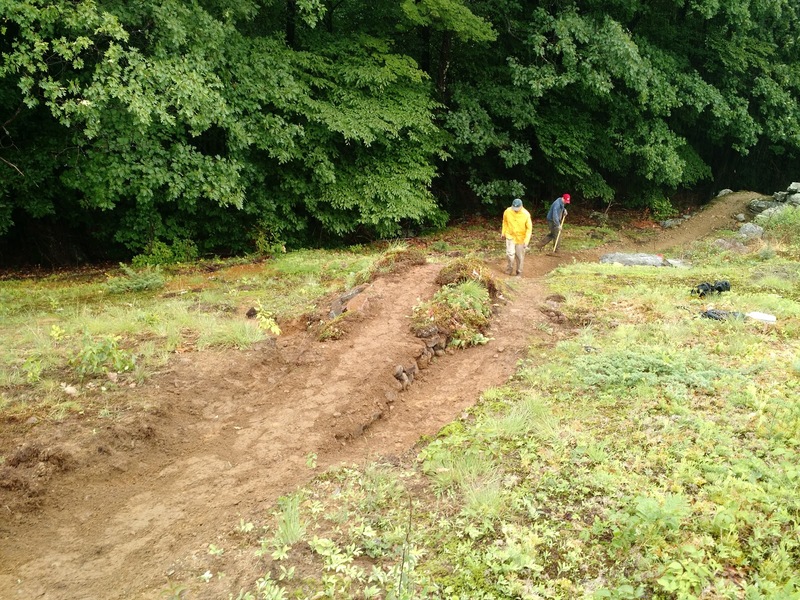 Come and join us for a trail work day at Ahern State Park. 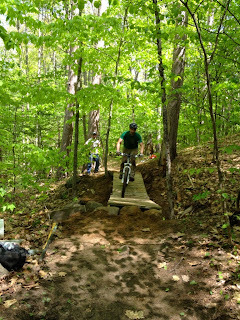 We are looking to get the park ready for a full season of riding. Bring a rake and/or loppers, some work gloves, water, and maybe even your bike for a post work ride. Bust the Fat Bikes back out! The snow has been deep this winter. Maybe even too deep (but not if your a skier like me). But certainly a bit too deep for fat bikes. We tried to stay on top of things grooming and snowshoeing but eventually with it continuing to pile up it seemed like a futile effort. But now that we are into the thaw/freeze portion of winter all that snow is going to set up very nicely. Next weeks forecast calls for above freezing temps everyday with freezing overnight. 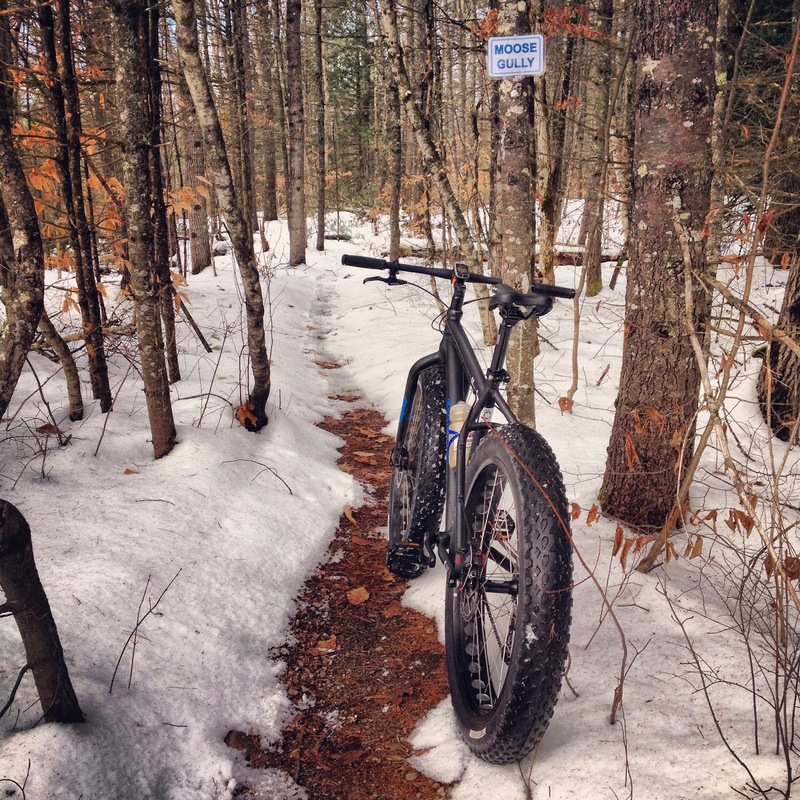 Perfect formula for amazing fat bike conditions. Word on the street (trail?) this morning is that conditions are already very nice at Ahern. I would imagine the same can be said for Franklin as well. And they should only get better over the next week. With DST looming and some additional daylight in the evenings be on the lookout for a few Thurs Fat rides in the near future! First edition of Thursday Night Grooming was a success! It's looking very likely this will become a somewhat regular thing. Maybe not every week but certainly the first Thurs after some fresh snow. We ended up getting 5 sets of shoes and Eric's drag groomer out on 4 miles of trails at Ahern last night. Grant D, Barry G, Chris S, Eric L, and myself in attendance. Covered just about everything except Alcatraz and Escape. I would say some sections will probably ride really nice right now while others need a bit more compaction. We are hoping that now that a nice well established track is set that more folks will see it and travel it and help things along. There is a chance Eric will also head out tonight to take care of the few inches we might get today. A little help from nature and Ahern will be in perfect riding shape before too long. This has been postponed due to the additional powder from yesterday's storm. It will be rescheduled for a later date. Gunstock is opening their Nordic Trail System to fat bikes this coming Thurs Jan 29th from 9am to dusk for a very reasonable $5 trail pass. If you have the time head on over and check things out. Looks like we are due for a little shot of snow this Saturday so they might even have some new terrain open by then. Yesterday evening was the first edition of the Fat & Furious Fat Bike Race on their trails and I thought it was a blast. 45-50 riders came out and raced a cyclocross style event. The second event is coming up on Feb 5th. Don't miss it! So everybody has a fat bike at this point right???? This most recent crust will take a bit to beat down but with no substantial snow in the extended forecast once it is packed we should be good to go again for the foreseeable future. 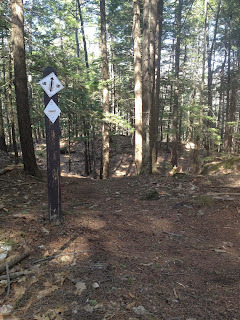 I have been thinking about organizing some evening snowshoe packing social hikes. A few people walking around on trails could get things rideable very fast. Comment here if you would be interested. I have been trying to post current trail conditions on my Strava data for any given ride so folks who follow me know which trails are packed out and riding well. 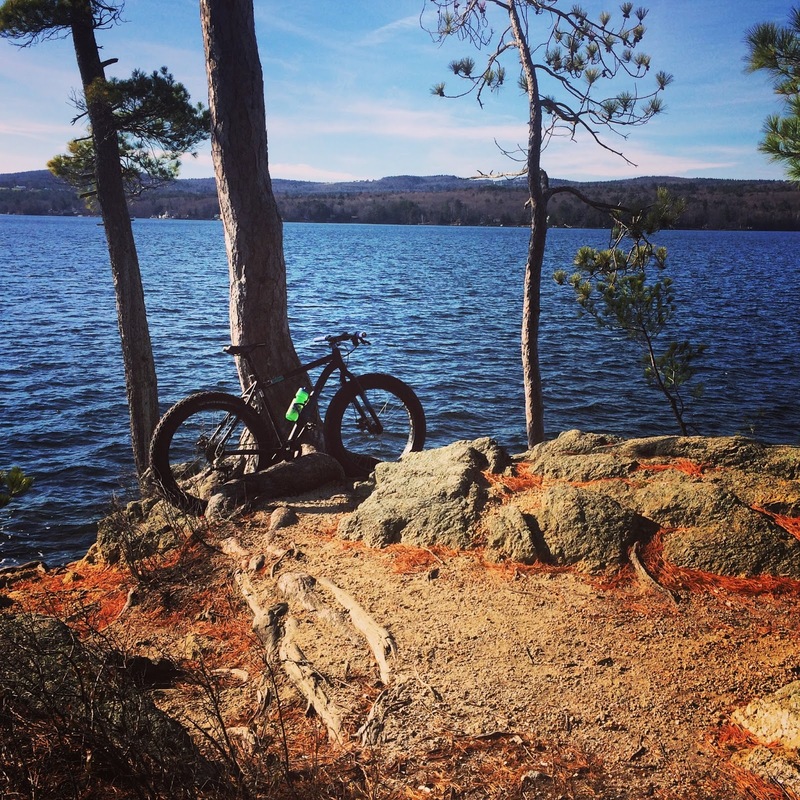 I'm hoping Central NH can eventually develop some sort of organic trail report network so we all know whats riding well and when. I've also been told there is a Facebook group of folks tracking conditions more in the Southern NH and Northern MA area...perhaps we can add Central NH to that mix? 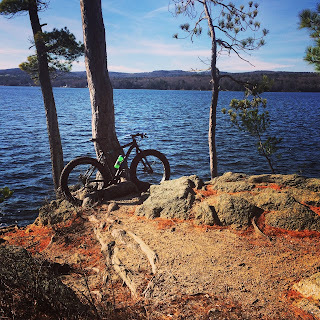 If anyone is out riding and is willing to share the trail conditions for wherever they rode shoot me a quick note to kevinorlowski[at]gmail[dot]com and I will share them here and at MTBR.